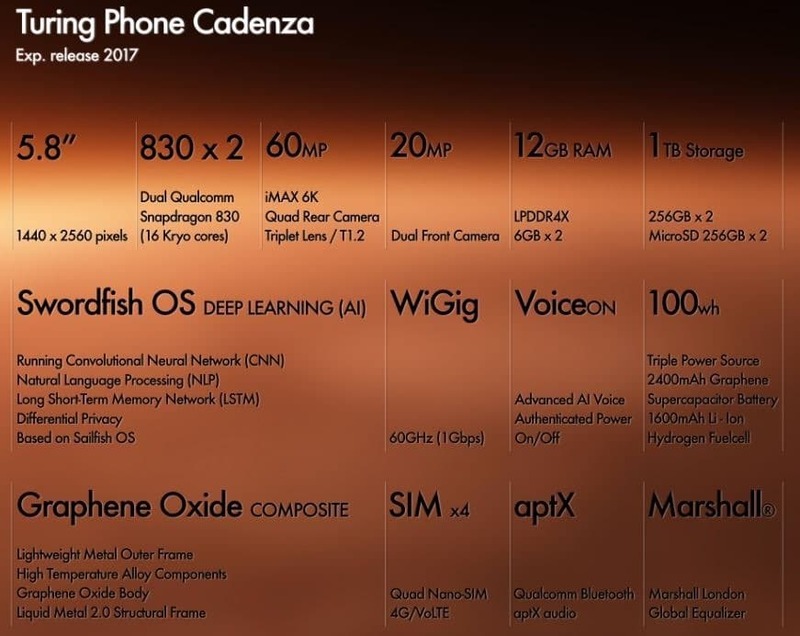 Turing robotics industries have created a buzz in smartphone industry worldwide, with their new Powerful Turing Candenza, having an insane beastly specifications. Or the Oneplus 5 and Archos Diamond all with an awesome RAM of 8GB. The Samsung Galaxy C5 pro with 6Gb of RAM while the Samsung S7 falls a little below with 4GB RAM and Phone X coming with 3GB of available RAM. With no phone's hardware specification comes close as powerful to what Turing has to offer, making the Turing Cadenza is the most powerful smartphone in the world. Turing Robotics Industries (TRI) a company named after Alan Turing whose aim is to create trustworthy mobile technologies, and to help individuals and organizations create trustworthy networks in which communications and data are safe from cyber threats. Turing Robotic Industries are located at San Francisco, California and Shenzhen, China. 5.8" (14.73 cm) display with a screen resolution of 1440 x 2560 pixels. 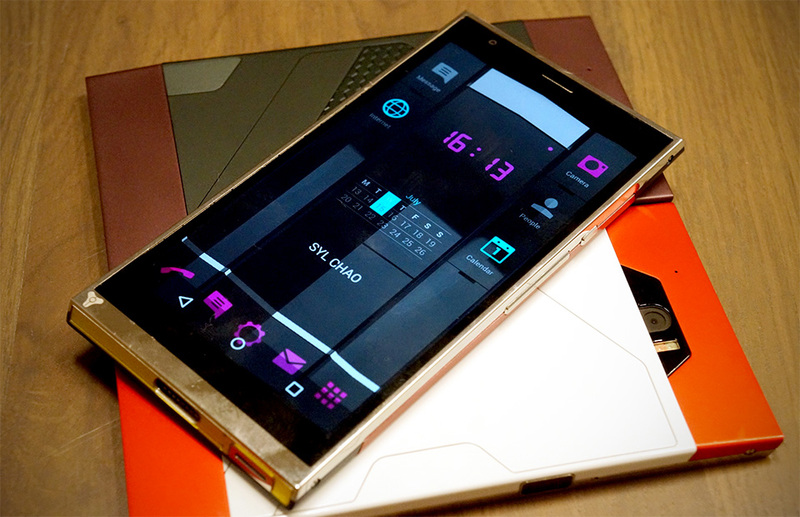 Running Swordfish OS v operating system (based on Sailfish OS) with deep learning (AI) features. The device is powered by dual (2) Qualcomm Snapdragon 830s processors (16 Kryo processor ). Dual Adreno 540 GPU for accelerated graphics delivery. Sporting an amazing 12 GB of RAM (2 x 6 GB LPDDR4X). A large on board storage at 1 TB with the option to expand the memory up to 500Gb (using 2 micro-SD card Slot, supports up to 256 GB each). The rear camera is concerned, this mobile phone has a powerful 60 MP camera with iMAX 6K, triple lens and a perfectly placed 20MP dual front camera. This device supports up to four (4) SIM cards ,supports WiGig that can deliver speeds of 60GHz 91Gbps. Other sensors include Light sensor, Proximity sensor. 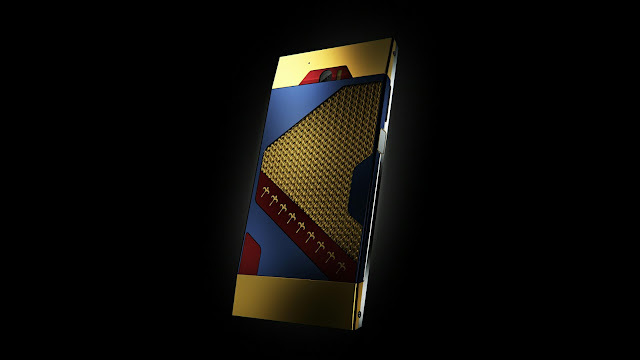 Turing phone Cadenza is powered by a 100wh battery (2400mAh Graphene Super capacitor Battery along with a 1600mAhLi-Ion Hydrogen Fuel cell) supports quick charging for excellent reduced charge time. The smartphone is yet to be released for market but it expected release date is next month (December 2017) with no specified date. Subscribe to our newsletter to get updated about Turing phone release date, where to buy and price.